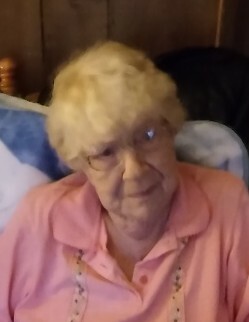 Delma Leana Gresley, age 91 of Lake City, passed away March 19, 2019 at the Ohana AFC home in Manton. She was born October 26, 1927 in Forest Township, Missaukee County to Earl and Edna (Shackelton) Whipple. She married Lewis Franklin Gresley and he preceded her in death. Delma enjoyed reading and playing solitaire. The Fall season was always a favorite time of year for her and she could be found working in her yard and doing her own snow removal. She especially enjoyed spending time with family and friends. Delma was also a lifelong member of the VFW in Muskegon. She is survived by her son, Darrell (Patricia) Gresley of Lake City; four grandchildren, Victoria (Scott) Chappel of Lake Ann, Jennifer Gresley of Lake City, William (Jodie) Gresley of Grand Rapids and Crystal Gresley of Lake City; six great-grandchildren, Alysia, Noah, Courtney, Seth, Dylan and Trinity. Memorial contributions may be directed to the family in care of Darrell Gresley or to the Shriners or St. Jude Society.